You must have faced this error at least once in your Android Smartphone Experience, But have you ever wondered What this Error Message Means? You think it’s a Virus? Well, No it’s not a Virus, it’s just an Error & in this post, we will learn everything about this Unfortunately Google Play Services has stopped error & how to fix it. S,o without any further ado, let’s get started. First, let us answer one of the most frequently asked questions – What is the use of Google Play services? 0.1 WHAT IS THE USE OF GOOGLE PLAY SERVICES? 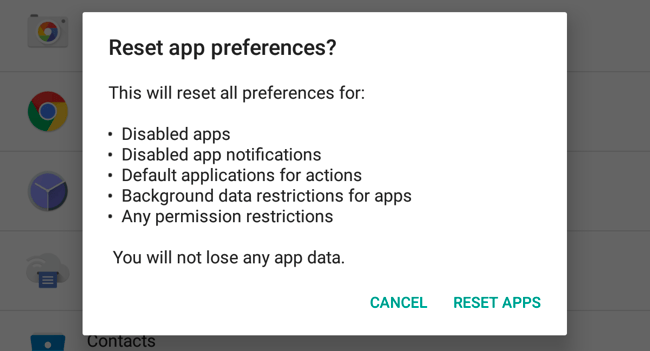 0.2 HOW TO RESTART GOOGLE PLAY SERVICES? WHAT IS THE USE OF GOOGLE PLAY SERVICES? First of all, understand that Google Play Services is not an Application. It’s a background API and service Package for Android Devices. This Package helps your Device to communicate with Google Play Store to check the latest Update, Securities and helps to permit Google Synchronization, authentication to all the most recent Privacy Settings. HOW TO RESTART GOOGLE PLAY SERVICES? Go to your Android Device’s Settings, then Applications. Go to Installed Applications and Tap on Google Play Services. Now tap on Force Stop and Clear Cache. That’s just about it! This will restart the Google Play Services on your Android Device. Now let us provide you the Solution for the Error which says – Unfortunately, Google Play Services has stopped. We are listing 5 Methods here to Fix Google Play Services Error – Unfortunately, Google Play Services Has Stopped. You can follow any method you wish to & try another method if one doesn’t work out for you. To fix Unfortunately Google Play Services Has Stopped error, you need to uninstall the updates and Re-update the Google Play Services. To do so, follow the below steps carefully. Go to Your Android Device’s Settings and then go to Security. 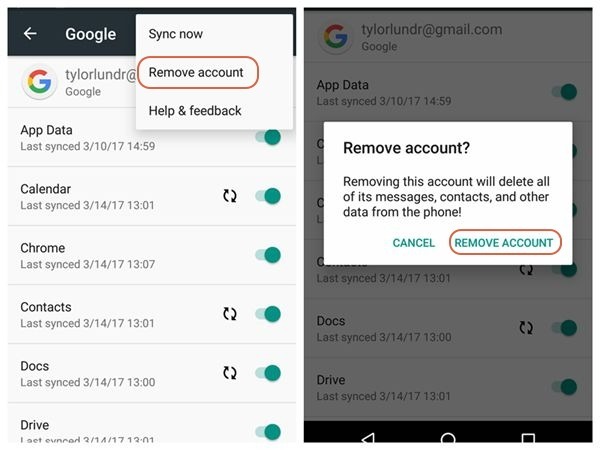 Now tap on Device Administrators and Deactivate Android Device Manager. Now go to Installed Applications. Once done, you will get a prompt to Update Google Play Services, Select Update. Now Again Go to Settings, then Security. Now tap on Device Administrators and Activate Android Device Manager. That’s it; this should fix the Google Play Services Has Stopped error, in case it didn’t work out for some reason, then try our next Method. Google Play Services acts as a Framework for all the Apps in your Phone which you have downloaded from the Google Play Store, so try Clearing its cache and data. Along with that, clear the cache and data of the Google Services Framework also. Go to Your Android Device’s Settings and then go to Applications. Now tap on Installed Applications. Select Google Play Services first. Now do the same for the Google Services Framework. That’s it; this should fix the Unfortunately Google Play Services Has Stopped error. If it didn’t, move on the third method. All that didn’t work out? Well, then try this, we will remove Google Account and Will add it again. To fix the Unfortunately Google Services Framework Has Stopped error, follow the below Steps Carefully. Go to Your Android Device’s Settings and then go to Accounts. Now tap on your Email Id and then Tap on Remove Account. Now you need to add the same account again. Now Select Google from the List and Tap on Add an Account. Enter your Email and Password and Login. For Instance, Restart your Android Device. Please note that you should only use this Method when all of the above does not work. To fix the Unfortunately Google Services Framework Has Stopped error, follow the below Steps Carefully. Go to your Android Device’s Settings. Now Open Menu by Pressing the Menu Key or choose the three dots button on top right. All the solutions below were submitted by the users at ‘STACKEXCHANGE‘, so all the credit for these go to the StackExchange community. Check your Internet connection. May be your WiFi network is blocking any of the IP addresses that Google use. You can also try switching the WiFi on or off on your phone — same with mobile data. This goes without saying, but may be a simple reboot of your Android phone/tablet could fix the problem. Here is the way to fix this issue: go to APKMirror, find the last Google Play service, then download and install it. That’s it. If you are having any problem then just go to the Settings → Applications → All → Google Play Store → then Uninstall Updates. Error: Unfortunately Google Play services has stopped working. The problem is in the updates. I fixed this problem by uninstalling updates from the Google play services app. All my Google apps started working. I went back in and reinstalled the update and it stopped working again so that tells me it’s in the update. Go to Settings – apps – google play services. 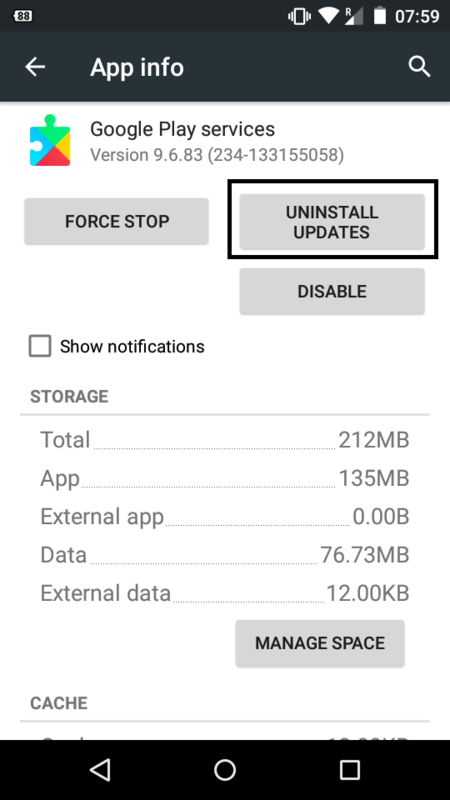 Do a force stop on app, clear cache and data. Check and see if your google apps are working. If you reinstall the update it may stop working again. That’s it! These were all the methods for fixing the Unfortunately Google Play Services has Stopped error. If still, you are getting the error, try factory resetting your Device by going into your Smartphone’s Settings. Please note that this will erase all of the data in your Smartphone. We hope that this post cleared your doubt about this Google Play services related error and has helped you to fix the Same. Let us know which method worked for you in the Comments Section Down Below & if somehow we missed any solution, let us know that too. My issue happend right after a fresh nitrogen os install version oreo, 8.0 or 8.1. The “Google Play services has stopped” error pop-up non stop, right after gapps is flashed. It suppose to be a clean slate so how could anything could be there messing thing up? No issue with version 7.1 tough; I don’t get it at all. I too faced this issue after flashing a clean RR Oreo followed by OpenGapps pico 8.1. I haven’t even setup google, yet I too face this issue. It should be noted that both OpenGapps 8.0 and 8.1 are flagged as ‘beta’. Also, while installing Gapps via TWRP, it reports that the gapps version is for 8.1.0 while my ROM version is 6.0.0 which is based on Oreo 8.1.0. Clearly, Gapps confuses my ROM version with Android version. However, I wiped everything including internal storage, did a clean ROM flash, followed by Gapps and Magisk. This time, everything was fine.